…how shocked I was to find one this morning in the kitchen eating out of the refrigerator. It was only about 100 lbs but I was scared. I backed up into the bedroom locking in my cats and wife. Eventually I was able to come out, it had apparently left right after I closed the bedroom door. Ate up all your porridge, did they? Yeah LR People really enjoy selfies, besides only a 100 pounds, you could easily have rassled him into submission, Just like The Donald did to Vince McMahon! How did the bear get in? April 1st is rumored to have magical properties. Oh yeah, today’s AFD. You certainly got me. 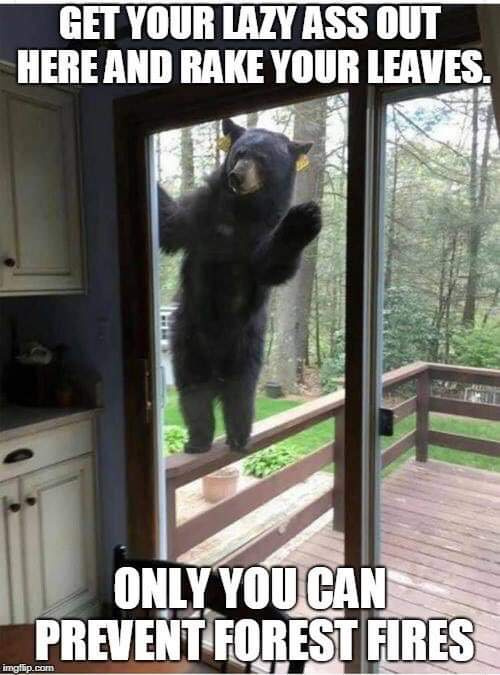 I hope that bear really fucks up your kitchen next time! Yeah, that’s how he looked.